Our requirements have been met! I am employed at Wüstenrot Immobilien as a self-employed real estate agent since October 2014, and I have been using onOffice since then. With over 20 years of experience as a real estate agent, I have worked with various software products including Lagler, Makler2000, as well as many self-developed databases. For this reason, I was initially skeptical about applying an internet-based solution. However, already the onOffice training videos were extremely useful. They enabled me to get up to speed on the software’s most important functions in no time. Of all of the software products that I have used, onOffice is the most pragmatic one. It takes, for example, what would usually be the complicated mapping of seller/buying data and emails, and allows for this to be executed by the simple click of a button. This is just one example of many other functions that have eliminated time-intensive back-office tasks and allowed me immediate access to my data from absolutely anywhere in the world. The service at onOffice has been incredible, always reachable on short notice with clear-cut helpful solutions each time. For a more efficient way of working, I would definitely recommend onOffice to my colleagues. Following an informative consultation meeting with the team, the decision to work with onOffice was indeed an easy one. Using onOffice, we actually wind up saving time during the workday as the software drives more efficient processes and, quite frankly, has transformed our customer experience. With onOffice, we are able to answers emails within seconds, using helpful templates, which still generate individualized content. In addition to this, Exposés are easily generated. A specific highlight is the Broker's Book that is integrated into the software and records every activity with both existing and prospective customers. This way, one always has the information available, even when traveling, and can immediately access all data at any point. The value for money relation is incredible; it’s been an absolute joy working with onOffice. As a real estate franchise with a focus on vacation properties, we have specific interest in the connection to the international portfolio of properties, as well as the access to regional residential properties. For this reason, we decided to switch to onOffice in order to be able to provide our franchise partners with superior work relief and more comfortable usage experience. 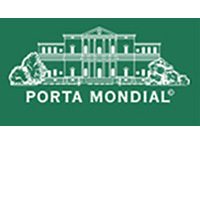 onOffice has definitely exceeded our expectations, allowing us to present all the vacation and residential properties of our international network on www.portamondial.de daily. Our experience with the onOffice software to date has been intrinsically positive. Structured in a logical manner, the software is user-friendly and easy to understand, offering all the features necessary to facilitate daily tasks from a broker’s perspective. The ability to make templates and Exposés available for all users is a huge benefit to us. This saves considerable amounts of time and is a big relief. The onOffice App provides a that the software is always accessible, even whilst travelling. Finally, we have never had any issues with the support - the team is always friendly and happy to help. Great service. I am keen about the onOffice’s simplicity of style. The functionality is fully sufficient for day-to-day work. During rollout, the brokers had picked up the system within only one day of training. The service hotline is immediately reachable without being delegated to a queue and our change requests are always processed promptly, without any delay. The email support is just as efficient. I have never experienced a software rollout as easy as this one. I have never had a computer change so far. We would definitely recommend the onOffice software. The support team has been tremendously helpful and the simple structure and generation of high quality PDF-exposés has been most impressive. Brilliant experience with a brilliant software! As a real estate agent based in Port Andratx, Exklusiv Konzept S.L. specialize in the marketing of high quality properties in the southwest of Mallorca. We have been working successfully with onOffice for many years now. Whether customer or property management, the web-based broker software offers the right module for all tasks and administrative processes. The user interface is easy to understand and intuitive to use. Support always responds very quickly to our inquiries. We are convinced of onOffice and can only recommend the software. KÜHN & PARTNER S.L. . is the leading Real Estate company on the Balearic Islands. After 24 years of using the same in-house software solution, we decided start using the onOffice software in April 2011 for both the frontend (www.kuhn-partner.com) and backend (CRM) office functions of our company. Since we have 95 employees, 12 additional offices and we use three different languages, our software system has to be as flexible and easy to handle as possible. OnOffice needed to be effective and adoptable. The on-site training, online support and training video in three languages led to a smooth transition. onOffice is a clever software solution with many interesting and helpful features. In the last 13 years, we have tested four different digital solutions to cope with our daily tasks. As a result there is no doubt that onOffice is the most successful one for us. The software is extremely reliable and supports us tremendously on a daily basis. In addition to its intelligent features, onOffice is exceedingly customer friendly including the very helpful support team. We are very content to have taken this step to digitally tranform onto a higher level! We chose to use the real estate software from onOffice since we wanted a more user-friendly interface. We have found the free-of-charge additional features and the economical premium functions highly beneficial. In addition, we have made a very positive experience with repsect to the personal support ! We are looking forward contiuning our coopertation with onOffice! onOffice offers flexible possibilities within our license framework. This way dutiful documentation evolves into a vital software solution that works logically and automatically carries out process compliance. For DAHLER & COMPANY, this has always been the foundation of our service quality, which is now globally available for our partners worldwide. We consider the implementation of onOffice a clear success and the journey to-date has been absolutely worthwhile! This is a genuinely novel experience in the area of software lead-ins. As a globally operating Real Estate company, we require a software solution that our local representatives can rely on. After carrying out extensive research, we finally decided to cooperate with onOffice: a huge project that took a major toll on both parties with respect to time, personal engagement and communication. Despite this enormous effort, we do not regret anything! And we would specifically like to thank the support team for their continuous help and patience. onOffice is a young and modern software, which completely fulfills the demands of the brokerage business and supports our structures and requirements as a franchise company. Furthermore, the software provides a multitude of additional useful features that greatly facilitate our employees' daily work. We absolutely recommend onOffice! 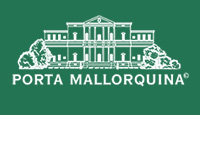 With over 2,000 properties on www.porta-mallorquine.de, 8 sales offices and over 40 employees, Porta Mallorquina is one of the largest brokers on the island of Mallorca. The migration of our complex and multi-language backend and frontend system to onOffice was a significant challenge that we successfully mastered without any setbacks, in close cooperation with the onOffice support team.